All praise is for Allah, we praise Him, seek His aid and forgiveness, believe in Him and place our trust in Him. We seek refuge with Allah from the mischief of our selves and the wickedness of our deeds. Whoever Allah guides, there is none that can lead him astray and whoever He leads astray, there is none that can guide him. I bear testimony that there is none worthy of worship except Allah alone; He has no partner. I bear testimony that our Master and Leader Muhammad is His slave and messenger. May Allah bless him, his family, his companions, his wives and his followers, and grant them peace. It is clear to the intelligent from among the people of Islam that the ideological fitnahs and ideas of false groups became active to spread their poison into Islamic communities, particularly after — through the favour and accordance of Allah — the effects of the Islamic awakening began to appear globally. All of those driven by desire and personal objectives wished to benefit from this blessed phenomenon for their own interests. How many enemies of Islam brought clear disbelief and pure falsehood, wrongly and misleadingly claiming this to be the true Islam? There is the disbelieving Qadiyani group which claims its disbelief is the correct Islam and that he who does not believe in the prophethood of Mirza Ghulam Ahmad al-Qadiyani, the lying claimant to prophethood, is not a Muslim. This is what the Qadiyanis say in spite of their false prophet admitting he was planted by the colonial British who only created him to ruin Muslims, destroy Islam, create doubts in Islamic beliefs, weaken the Islamic might and create sects among them. Nevertheless, the ‘ulama of this ummah have — all praise to Allah — unanimously issued edicts declaring their clear disbelief and separation from the Islamic community. However, in spite of this, the Qadiyanis establish their centres in countries across the world, most notably in Europe, America and Africa, far from the centre of Islam. Then there are the Rawafid Shiites with their clear falsehood and corrupt beliefs that are found in fundamental books of theirs such as their authentic Al-Kutub al-Arb’ah. 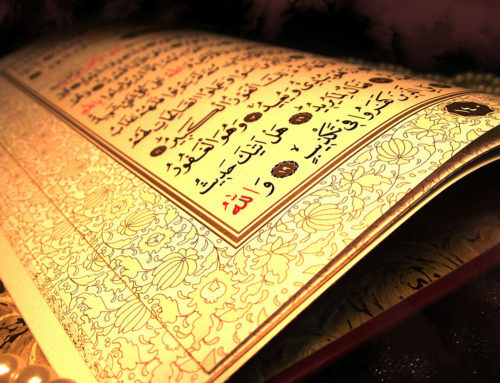 Among their beliefs is that the Noble Qur’an was distorted and that the Qur’an that is with us today — the one that begins with Surah al-Fatihah and ends with Surah al-Nas — is not, I seek refuge with Allah, the Qur’an that was revealed to the Prophet Muhammad (may Allah bless him and grant him peace), but was changed and subject to additions and deductions, and so continues their lies. They also believe that all of the Companions (may Allah be pleased with them) renounced Islam after the demise of the Prophet (may Allah bless him and grant him peace) save five to seven. These are their authentic narrations in their core books. The Shiites also believe that the shaykhayn (Sayyiduna Abu Bakr and Sayyiduna ‘Umar), Sayyiduna ‘Uthman, the Ten Companions who were given glad-tidings of paradise (except Sayyiduna ‘Ali), and other leading Companions such as Sayyiduna Abu ‘Ubaydah, Sayyiduna Khalid bin Walid, Sayyiduna ‘Amr bin al-‘As and the righteous and chaste Mothers of the Believers, the Wives of the Messenger of Allah — we seek refuge with Allah — all left Islam after the Prophet’s demise. The Shiites are also extreme in their views regarding the Twelve Imams of the Ahl al-Bayt, so much that in many issues they raise their ranks above those of the Prophets (may Allah bless them and grant them peace). Their other corrupt beliefs are known and mentioned in books on this subject. It is not only Islam that has been afflicted by such oppression and slander, the Predecessors have also been afflicted and so we see men of evil whim and desire bringing isolated (shadh) and wrong views, saying they are the views of the Predecessors and then leading astray naive and simple people who hold dear the faith of the true Pious Predecessors (may Allah mercy them). They spread among them corrupt views and false beliefs that go against the fundamentals of religion and the madhhabs and views of the Pious Predecessors. The poor people are then impressed by their intense propaganda on account of which they become deluded, led astray and ruined. It was not long ago that which the group of Juhayman al-‘Utaybi brought to us in the stronghold of Islam and source of guidance, Umm al-Qura, where they — armed with different types of weapons — terrified the slaves of Allah from among the hajis, and those performing ‘Umrah and offering prayers in the Haram of Allah. 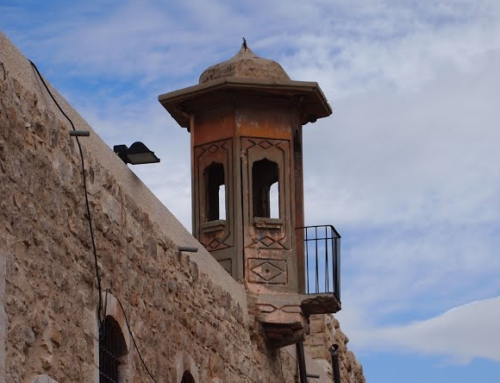 This continued until the distinguishing features of Islam (shi’ar) such as the adhan and salah were suspended for half a month and the noble Haram’s courtyards became filled with filth and dirt for that entire duration. Then, these people, while adhering to the corrupt views and beliefs of the Kharijites, falsely and lyingly claimed one of them to be the awaited Mahdi in front of the Ka’bah; they spread corruption, all in the name of the Predecessors. Allah is witness that the Predecessors have no connection whatsoever with all of this and that not a single individual from amongst the Pious Predecessors (may Allah be pleased with them) has ever mentioned anything that these people said. They have, by using the word “salaf“, only intended their predecessors from the Kharijites, those who spread corruption and their like. As to the Predecessors of the Muslims, the Pious Predecessors, I swear by the Lord of the Ka’bah that they are innocent of such divergence. Likewise, we sometimes hear some of these people slandering and taunting those who follow a particular imam in matters of jurisprudence, and act upon the madhhab of one of the four agreed upon mujtahids — Imam Abu Hanifah, Imam Malik, Imam al-Shaf’i and Imam Ahmad bin Hanbal (may Allah mercy them and be pleased with them); those upon whom, from the first century onwards, the ummah and its ‘ulama have been in consensus on the permissibility of following in matters of fiqh. However, some of these people who are astray can be seen in many regions of the globe spreading their falsehood and claiming that the following of one of the four imams, we seek refuge with Allah, is a misguided innovation. In fact, some of them are even bold to say: “It is a deviation and a form of polytheism.” Again, with great regret, this is all taking place in the oppressed and meek name of the Pious Predecessors. These people have forgotten, or pretend to forget, that the imams of religion and guidance, and the authorities of knowledge and faith who acted upon these madhhabs and followed their own respected imams — includingthe likes of al-Tahawi, al-‘Ayni, al-Alusi, al-Qari, al-Zayla’i, al-Dahlawi (from the Hanafis), al-Nawawi, al-‘Asqalani, al-Ghazali, Ibn Kathir, al-Dhahabi, al-Suyuti (from the Shafi’is), al-Qurtubi, al-Baji, Ibn ‘Abd al-Barr, Ibn al-‘Arabi (from the Malikis), Ibn ‘Aqil, Ibn Qudamah, al-Jilani, al-Maqdasi and Ibn ‘Abd al-Hadi (from the Hanbalis), and also the imams of the Salafis such as Hafiz Ibn al-Qayyim, Ibn Rajab al-Hanbali, Shaykh Muhammad Ibn ‘Abd al-Wahhab and many tens of thousands of erudite imams and ‘ulama — would live up to the unsound opinion of being “polytheists and innovators”. Yes, these people are considering astray, disbelievers and innovators the imams of the Salafisand their revered personalities in the name of the Predecessors. Glory is for Allah, as the saying goes: “Insanity comes in many forms.” We ask Allah for well-being. Likewise, we hear the calls of those who say: “Tasawwuf in its entirety is baseless and the Sufis are a deviated sect which is not connected to Islam. They are rather the enemies of the faith and their origin lies in Greece and Buddhist India…” and so continues their lies. Once again with great regret all of this is taking place in the poor name of the Predecessors. The truth, in reality, is different. 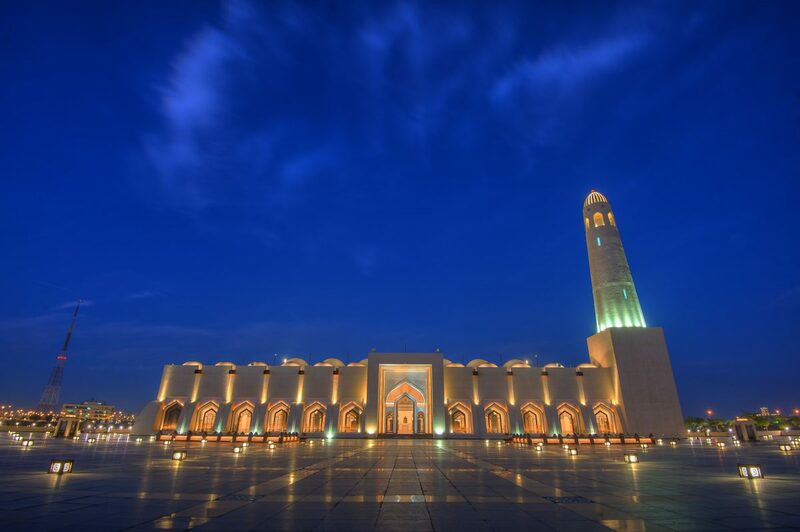 According to the imams and revered personalities of the Salafi movement itself, the Sufis are an Islamic group like other Islamic groups, such as the hadith experts (muhaddiths), jurists (faqihs), theologians (mutakallims), historians and mujahids etc. Among them are the correct and incorrect, the pious and impious, and authentic and false. However, whenever one of these groups is mentioned, the pious, correct and authentic among them is always intended. For example, if we were to refer to the hadith scholars, then the intention would always be, according to all, the pious hadith scholars who — on behalf of the ummah — preserved, served and propagated the hadiths of the Prophet of Allah (may Allah grant him peace and blessing) in the correct and proper fashion such as Imamal-Bukhari, Imam Muslim, Imam al-Tirmidhi, Imam Ibn Hajar al-‘Asqalani, Imam al-Suyuti and Imam al-Kandhalawi etc. The word muhaddith in its general sense is never used by anyone to intend those charlatans, liars and fabricators who affiliated themselves to this noble group, and whose corruption and fraud was exposed by the imams of al-jarh wa al-t’adil (the science of evaluating and critiquing narrators) in every time and age, as is widely known. This is the situation with regards to the jurists, theologians, mujahids, historians and other Muslim groups. Likewise, this should also be the case with the Sufis. Therefore, when the word Sufi is mentioned, the likes of Fudayl bin ‘Ayad, Ma’ruf al-Kharki, Abu Sulayman al-Darani, Bishr al-Hafi, ‘Abd al-Qadir al-Jilani, Junayd al-Baghdadi and many others who treaded their righteous path are intended. 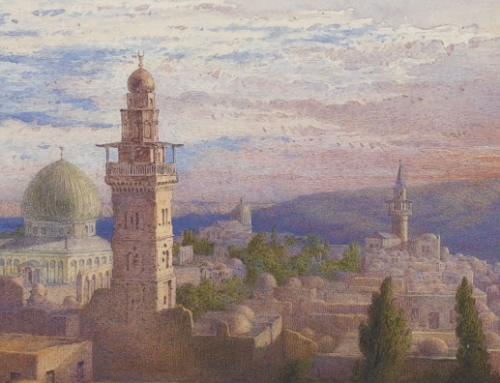 The word Sufi should never be used to mean those impostors who were astray and who in practice strayed from and opposed the Qur’an and the Sunnah of the Prophet of Allah (may Allah bless him and grant him peace); they are strangers in matters of Tasawwuf, and highwaymen in the path to Allah and the hereafter. In fact, on the basis of that methodology by which we worship Allah Most High, that which we believe in — all praise is for Allah, it is on account of His kindness and His accordance that our souls remain steadfast — and that understanding upon which we found our spiritual masters (may Allah mercy them), we understand that even the words of the likes of Fudayl bin ‘Ayad, Ma’ruf al-Kharki, Abu Sulayman al-Darani, Bishr al-Hafi, ‘Abd al-Qadir al-Jilani, Junayd al-Baghdadi and many other great imams and others besides them would at times be taken and at times be left. This would, however, never be the case with regards to the sayings of the truthful and proven to be honest Prophet of Allah (may Allah bless him and grant him peace). The hujjah shall always remain the Book of Allah and the Sunnah of His Prophet (may Allah bless him and grant him peace). Hence, we shall consider ourselves at the service of whomever we find in accordance to the teachings and principles of these authorities. We shall not consider those who oppose the Book of Allah, the Sunnah of the Prophet of Allah (may Allah bless him and grant him peace), and the principles and teachings of these two authorities, to be anything. For us Allah is enough and he is the best trustee. Due to this fitnah (the opposition to Tasawwuf and the Sufis) becoming active among some in the name of the Predecessors, it is necessary upon the ‘ulama — being both the inheritors of the Prophets (may Allah bless him and grant him peace) and people of truth — to strive in preventing and combating this problem. This is something for which they will be asked and a major obligation; there is no room for negligence due to its importance. The ‘ulama have — praise be to Allah — began to combat this fitnah in many places and are fulfilling their religious obligation in establishing the truth. May Allah reward them, increase their success and aid them further with His divine help. 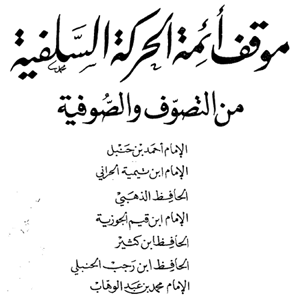 I have felt the need to compile in one book the sayings of the imams of the Salafi movement regarding Tasawwuf, its various issues, and their words of praise and commendation for the Sufi shaykhs, thus making it clear that it is false and slanderous to attribute to the imams of the Salafi movement sayings such as: “Tasawwuf in its entirety is baseless and the Sufis are a deviated sect which is not connected to Islam. They are rather the enemies of the faith and their origin lies in Greece and Buddhist India…” It would also be made known that those who claim such are either deluded ignoramuses or liars. I mentioned my idea to some people of knowledge and piety who lent me their support and encouraged me to begin work due to the religious necessity attached to it. I, therefore, performed the istikhara prayer and made firm intention, placing my trust in Him, and asking only Him for assistance, guidance and correctness. I then began work with his divine accordance (tawfiq). Oh Allah, our hearts, limbs and forelocks are in your hands. You have not made us owners of any one of these things and when You have made us like this (i.e., helpless) then oh our Lord, oh most generous, become our patron and guide us to the straight path. Oh Allah, inspire us to the salvation of our dealings, and grant us refuge from the mischief of ourselves and the evil of our deeds. Bring our hearts towards You and grant us accordance of that which You love and are pleased with in speech, actions, intention and guidance. Indeed You are, over all things, most powerful. Amin. 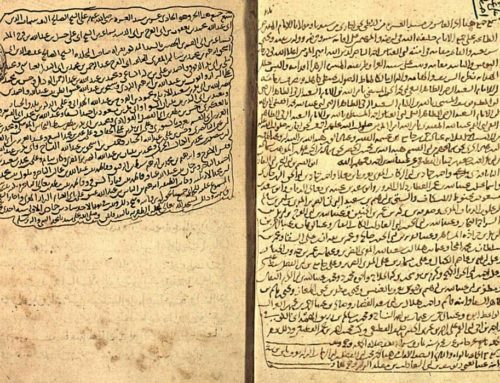 In spite of my various engagements and many misdeeds, I began work by first of all selecting the writings of Shaykh Imam Muhammad bin ‘Abd al-Wahhab and Shaykh al-Islam Ibn Taymiyyah. 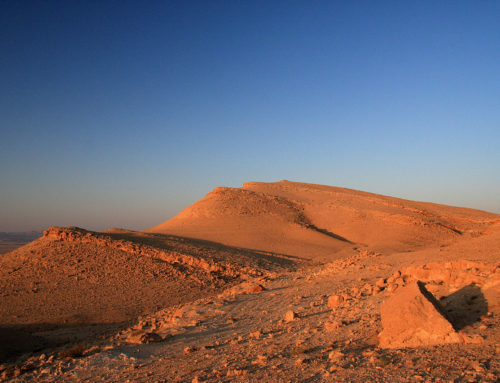 I thereafter selected four more great personalities from the leaders and imams of the Salafi movement because of the trust placed by Imam Muhammad bin ‘Abd al-Wahhab on their knowledge and leadership, and due to the fact they are all from among the foremost students of Shaykh al-Islam Ibn Taymiyyah (may Allah mercy them). These four, with the above-mentioned two, brings the total number of shaykhs whose writings I will present to six. After this for the seal of musk (or crowning touch) and to make the total number an odd number, I felt I should include the imam of the leader of the Salafis and also the imam of the Ahl al-Sunnah,Imam Ahmad bin Muhammad bin Hanbal al-Shaybani (may Allah sanctify his soul). These seven imams are the central pivots (qutubs) of the Salafi movement. I have compiled what is mentioned here with great haste; the other quotations of these imams on this very subject that I have left out are more than what is mentioned here. This is a mere sample from the anecdotes of these imams regarding Tasawwufand the Sufis. I have also tried my utmost in presenting their speech clearly and plainly, and have only added footnotes at times of dire necessity so their correct stance may become clear. I hope that Allah Most High, through His kindness and generosity, makes this work a means of exposing the truth, and a way by which veils may be lifted from hearts and eyes. We ask Allah Most High that He grants us the ability to live, die and be resurrected on that upon which the saved group, the Ahl al-Sunnah wa ‘l-Jama’ah, is on. May He allow us to be raised under the banner of their imam, their master, their mawla, their commander, their beloved, the beloved of the Lord of the Worlds, the leader of the prophets and messengers, he who is the mercy of the worlds and a noble example in all affairs for all believers, Muhammad bin ‘Abdullah al-Qurashi al-Hashami — may Allah bless him, his entire family, his companions, his wives and his followers forever and ever till the Day of Judgement. May He, with His mercy and generosity, allow us to be amongst them. Indeed, He is the most compassionate. Our last call is that indeed all praise is for Allah, the Cherisher of the worlds. Mashallah I eagerly wanted to get this book..Thanks to admin for translating it.. I was too keenly waiting for it. Now have found it here but after a long time. Does anyone know where I can get an original copy of this book in Arabic? Jazak’Allah khayran. The original Arabic version of this book may be downloaded in PDF format from the link below. Only problem, my dear friend, is that Tahirul Qadri Saheb is demonising all Deobandis as extremists. He has done this in the UK press. The beauty of shaykh ul islam is that,he is striving to bring the ummah on single platform irrespective of sects and groups and his research work is immensely famous in Arab World,Europe,Africa,Indo-Pak asian subcontinent and every where. The other irony is that Tahirul Qadri studied in Madinah at Madrasah Shariyyah, a Deobandi institute. You can check his bio online. Jazak Allah this is really helpful! Assalaamu alaikum.Dr Tahir-ul-Qadri is a Braelwi thats why he is speaking agains the people of Haq, i.e deobandis and salafis. Did you mean to say that Salafis are on Haq? If so, then you’re mistaken. Salafis are deviated from the mainstream Ahlus Sunnah wal Jama’ah. May Allah giv both u and I guidance.Ameen. Sheikh is great sufi of the world. Dear all,,..After to completely read the above book,I just came across with the point that, Ahl-e-Sunnah Wal Jama’ah (Either Barelwi/Deobandi), Salafi(Ahl-e-Hadeeth),Tableegi,Jamat-e-Islam can come more closer and work mutually to benefit the Whole Humanity. where can i buy this complete book? When will the remaining chapters of the book be translated/published?